A town on the coast of Spain has put itself on the map by becoming the first in the world to launch a plant that converts sewage into clean energy. 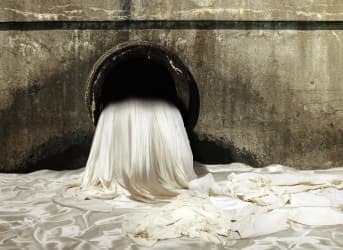 The Spanish sewage-to-energy project is part of a wider initiative to meet the European Union’s Renewable Energy Directive to increase transport biofuels from 2.4 to 10% by 2020. The facility in town of Chiclana de la Frontera on the Spanish coast uses wastewater and sunlight to produce algae-based biofuel—All-Gas--as part of project. And it is indeed a first. "Nobody has done the transformation from wastewater to biofuel, which is a sustainable approach," said All-Gas project leader Frank Rogalla. While some industries are producing biogas from wastewater for their own energy needs, All-Gas is the first to grow algae from sewage in a systematic way to produce a net export of bioenergy, including transport biofuel. During the treatment process, the contaminants are removed while anaerobic bacteria feed on some of the waste while giving off gas which can be captured and used by the plant. After that, algae are added to the pools of wastewater and exposed to the plentiful sunlight found in the region. After reaching a critical mass, the algae are extracted to be processed for oil. The remaining algal biomass left behind can be used to make bio-methane, carbon dioxide and minerals. The goal of All-Gas is to produce 3,000 kilograms of dry algae per day with an oil content of 20%. To add some perspective to things, that would be enough biodiesel to fill up about 200 cars. For now, researchers say it could take years before algal biofuels are commercially viable; but in the end, they may eventually be able to replace some portion of petroleum. The European Union is not alone in its sewage-to-energy ambitions. The US is working on a similar initiative. Researchers from Lawrence Livermore National Laboratory (LLNL) and Florida-based Chemergy Inc plan to demonstrate a bioenergy technology that converts wastewater treatment plant byproducts into hydrogen gas to produce electricity. The pilot will launch next month, and its leaders anticipate that in about one year the Antioch wastewater treatment plant will be processing one ton per day of wet bio-solids and up to 30 KW of electricity. The electricity will be used to power select functions at the plant. It is expected that the project will convert wet bio-solids into hydrogen at less than $2 per kilogram making it useful both for stationary power as well as for transportation fuel. Both San Diego and St. Louis produce biogas from wastewater and then refine to methane. The methane is inserted into the natgas pipelines. You gotta love it.....this article says nothing of turning the sewage into energy at the household point of creation. Instead, taxpayers and home owners have no clue how they are really being scammed. I'm curious about the water turnover rates. You mentioned that your goal was 3000 lbs of algae as a goal: how much water would that clean?